Following our pallet racking and shelving installations, we provide a 6 monthly or annual rack safety maintenance survey. The safety of your racking is paramount. We strongly recommend you have experienced fitters carry out a visual inspection to identify any fork truck damage and missing accessories. 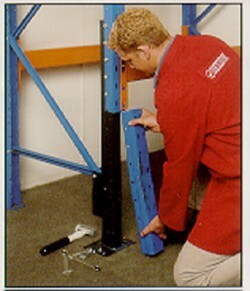 We can carry out rack maintenance to any manufacturers racking you may currently use. The aim of the inspection is to identify any damage to the installation, to report the remedial works required, and providing an estimate to carry out any necessary repair work. Hampshire Mezzanine Floor keep a stock of popular uprights and can often do repairs within a matter of days if the materials required are in stock. We will keep track of when your inspections are due and contact you to book a convenient date. For as little as £285.00, Hampshire Mezzanine Floor can carry out a safety inspection at your premises and ensure your companies warehouse safety. Hampshire Mezzanine Floor will provide a visual survey on your mezzanine floor and compile a report on the general condition and any notable structural damage. 1) Fork truck access of pallets through the perimeter edge protection, which can damage the flooring material, hand and knee rail, kickboard and fascia. 2) Mezzanine floor column damage caused by impact by mechanical handling equipment. 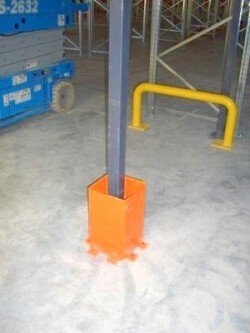 Hampshire Mezzanine Floor can now offer new products to assist in the protection of these columns from impact damage. 3) Joist damage caused by vertical impact from below the mezzanine by fork trucks or general handling equipment. 4) Handrail becoming loose due to general wear and tear which needs refixing and tightening of fixings. 5) Safety gates and loading plates receiving accidental impact damage from fork trucks and hand pallet trucks. 6) Damage to the 1 hour fire resisting of the mezzanine which compromises the fire integrity of a work/office platform. 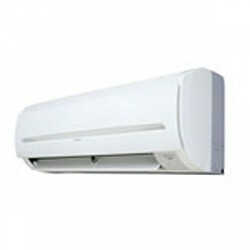 Air conditioning is like any other mechanical equipment, it requires regular servicing to keep it running efficiently. 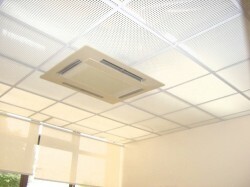 It is advisable that after any mechanical installation an annual air conditioning service is carried out where the filters and coils can be cleaned on a regular basis. Most extended warrantees on air conditioning are dependent on the equipment being serviced at regular intervals. To find our more information on any of our maintenance services, please contact us.